Antwerpen Dodge, LTD. v. Herb Gordon Auto World, Inc., 117 Md. App. 290, 699 A.2d 1209 (1997). DSMC Inc. v. Convera Corp., 349 F.3d 679 (D.C. Cir. 2003). General Motors Corporation v. Bannings Beltway Pontiac, 138 Md. App. 671, 773 A.2d 584 (2001). Chesapeake Fiber Packing Corp. v. Sebro Packaging Corp., 143 B. R., 360, 19 UCC Rep. Serv.2d 600 (D. Md. 1992), aff'd, 8 F.3d 817 (4th Cir. 1993). Greater Baltimore Board of Realtors v. Hughes, 596 F. Supp. 906 (D. Md. 1984). Racetrac Petroleum Inc., v. Prince George's County, 601 F. Supp. 892 (D. Md. 1985). Levitt v. State of Maryland Deposit Insurance Fund, 66 Md. App. 524, 505 A.2d 140 (1986). Applied Signal and Image Technology, Inc. v. Harleysville Mutual Ins. Co., 216 F. Supp.2d 534 (D. Md. 2002), 252 F.Supp.2d 215 (D. Md. 2003). Pete is Astrachan Gunst Thomas’ "voice of reason." He gives reasons why we should buy more wine for the wine closet or why he should take off a couple of hours early on Friday to play chess at the Fell's Point Chess Club, a club he formed to challenge local chess players (and lighten a few wallets when he’s not trying to lighten wallets playing street chess in his favorite city, San Francisco). In practice, Pete is our voice of reason and is often called upon by partners and associates alike for his strategic advice on litigation issues. Pete hales from New Jersey, and earned his Bachelor of Arts from Johns Hopkins University in 1966 and Juris Doctor from the University of Maryland School of Law in 1969, where he was a member of the Law Review's editorial board and was elected Order of the Coif. 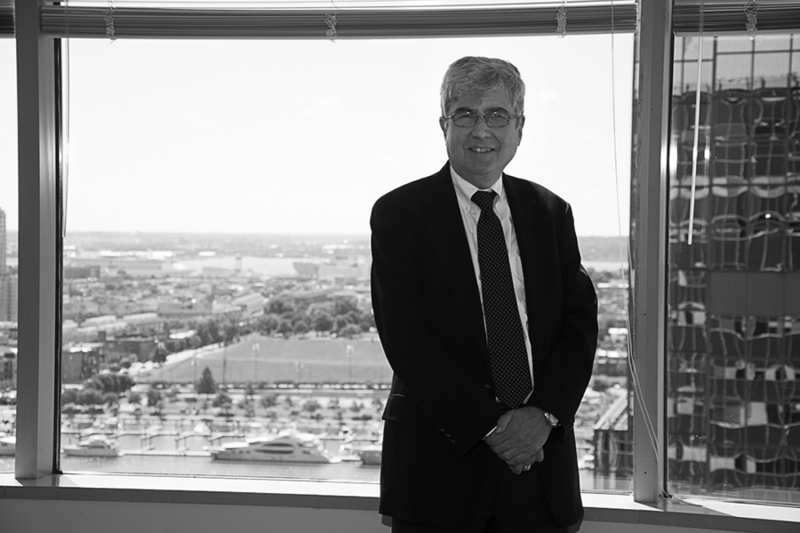 Over nearly 50 years of practice, Pete concentrated on commercial litigation with a focus in the areas of antitrust, intellectual property, unfair competition, the Petroleum Marketers Practices Act and RICO. He is known nationally for his expertise in the service station industry and for his knowledge of distribution law, received the Friend of the Industry award from the Washington, Maryland and Delaware Dealers' Association and has been elected to its Hall of Fame. His petroleum industry expertise has been called upon by local and national dealer associations located as far away as Brazil, El Salvador, and Guam. Pete serves as general counsel to two national trade associations, the Tire Industry Association and the Service Station Dealers of America, and has annually been named by his peers a Super Lawyer® for commercial litigation. Pete was elected a Fellow of the Maryland Bar Foundation and served on the Board of the University of Maryland School of Law Alumni Association. Pete imparts his knowledge to all who will listen. He served for many years on the adjunct faculty at the University of Maryland School of Law, where he has taught courses in antitrust, complex litigation and trade secrets with former partner, Julie R. Rubin. He has also participated on MSBA education panels, and has published writings on appellate practice and antitrust issues, as well as authored a nationally published column for the petroleum industry. For clients looking for a commercial litigation attorney, a business and commercial litigation expert, or an intellectual property lawyer, Pete is your guy. Click here to download and view Peter's Resume.